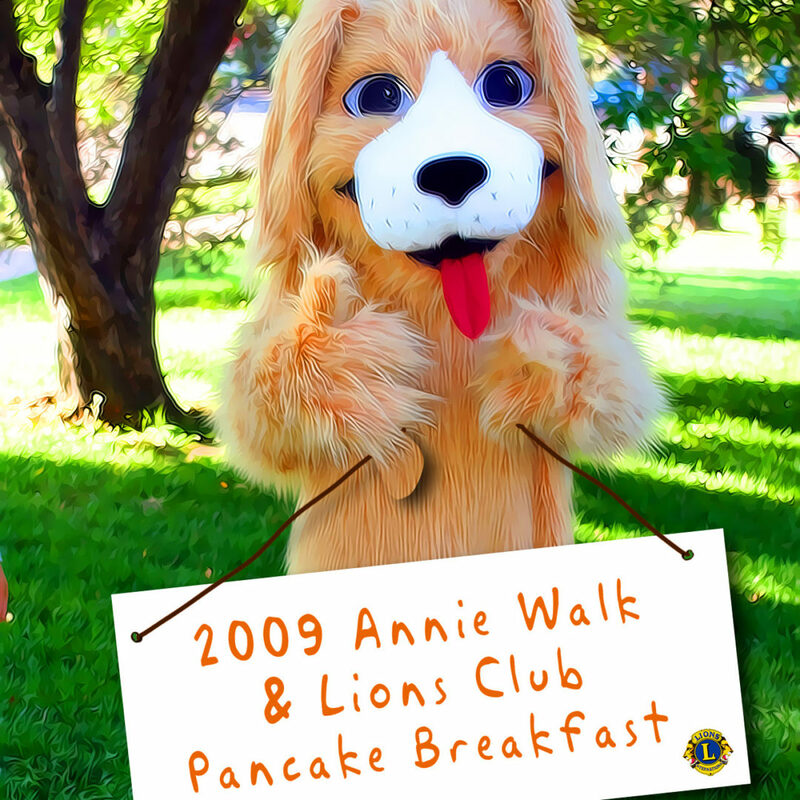 August 22, 2009 :: Our Annie Walk took place in perfect Fort Collins weather. Attendees and their dogs (and some cats?!) were as comfortable on the Poudre River Library property as a duck in water. The pancake breakfast got off to a good start. Once the lions members cooked and tested the product, they began serving the public at a cost of $5.00 for adults and $3.00 for children. The fashion conscious took advantage of the many vendors booths available in and around the park. Molly was seen modeling her new pink color, matched her leash perfectly. Absolutely one hundred percent of all monies collected were given directly to the Poudre River Library District. If that doesn’t give you a warm fuzzy….